These beautiful Valentines Day wreaths will make you swoon! 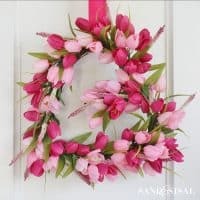 Heart shaped wreaths, roses and all the pink and red florals to hang love on your door! I’m seeing hearts all over town with Valentines Day fast approaching! 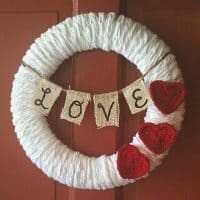 I hadn’t made a “Valentines Day” wreath before, so I loved (ha! 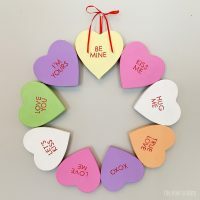 pun) making my DIY Valentines Day Hoop Wreath, and its been fun to see those popping up on Instagram too. 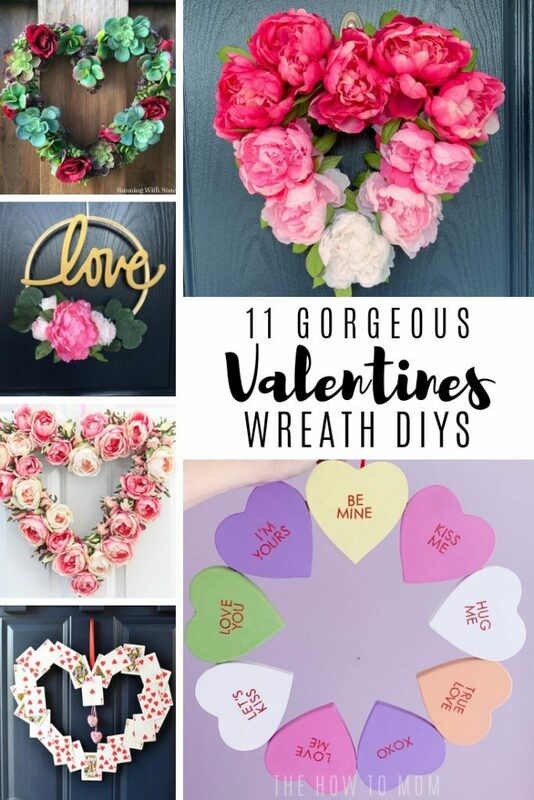 I’ve rounded up over 10 of the prettiest swoon-worthy Valentines Wreath DIYs that I’ve seen on Pinterest (you can check out the runners up HERE on my Valentines Day Wreaths Pinterest board). 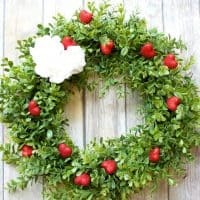 What makes a wreath a “Valentines Day Wreath”? 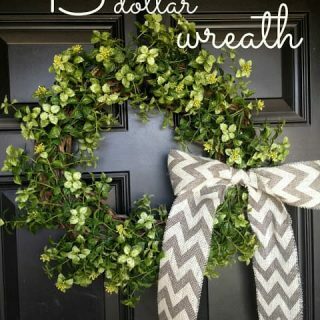 They definitely range from the gaudy red ruffly wreaths, to a simple boxwood wreaths with small hearts sprinkled throughout. 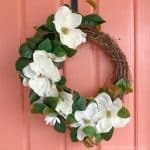 Some of my favorites are the really unique or modern wreaths, more on the minimal side. Hopefully you fall in love with one of the wreaths below! 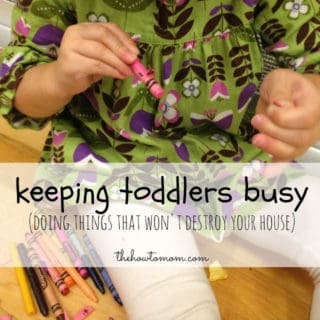 Click on the “continue reading” button to check out the tutorial. 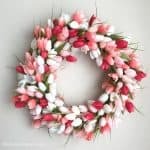 These beautiful Valentines Day wreaths will make you swoon! 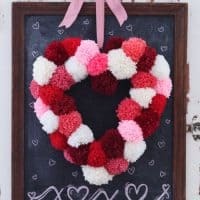 Heart shaped wreaths, roses and all the pink and red florals to hang the love right on your door! 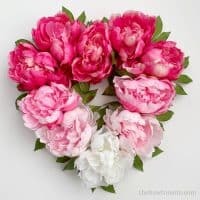 Gorgeous ombre peonies in a heart shaped wreath! 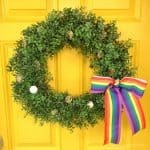 Truly a beautiful, romantic wreath. Perfect for Valentines Day or wedding decor! 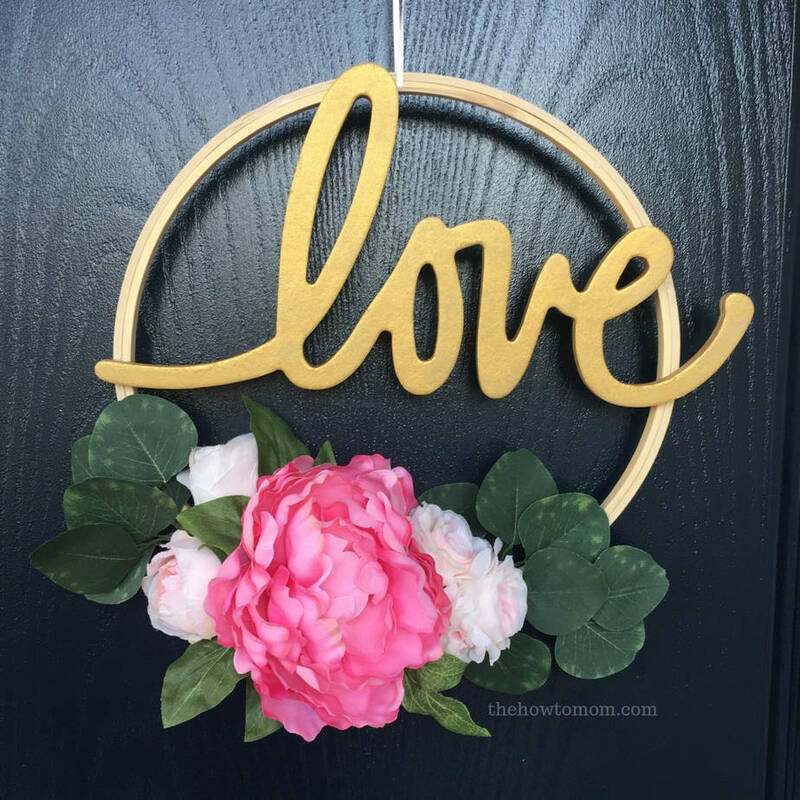 This beautiful hoop wreath is on-trend, with peonies, eucalyptus and a gorgeous handwritten gold "love" across the middle. 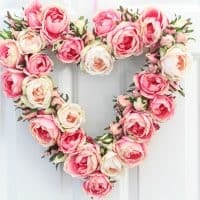 This romantic English Rose Heart Wreath is so stunning! I am suppressing the urge to make one right this second. 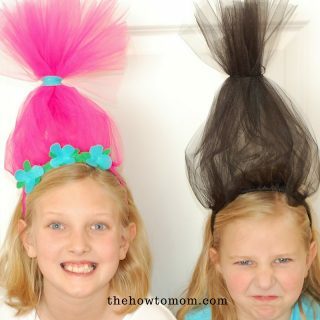 This fun tutorial includes tips on how to make the heart shape base AND those fun pom-poms! Sometimes all you need is a few hearts and a couple roses to turn a regular boxwood wreath into a festive Valentines Day Wreath! 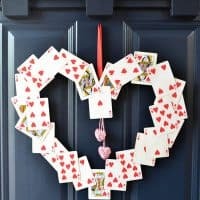 DIY Valentine's Wreath - with old playing cards! A old deck of cards get new life with this fun hearts on a heart wreath! 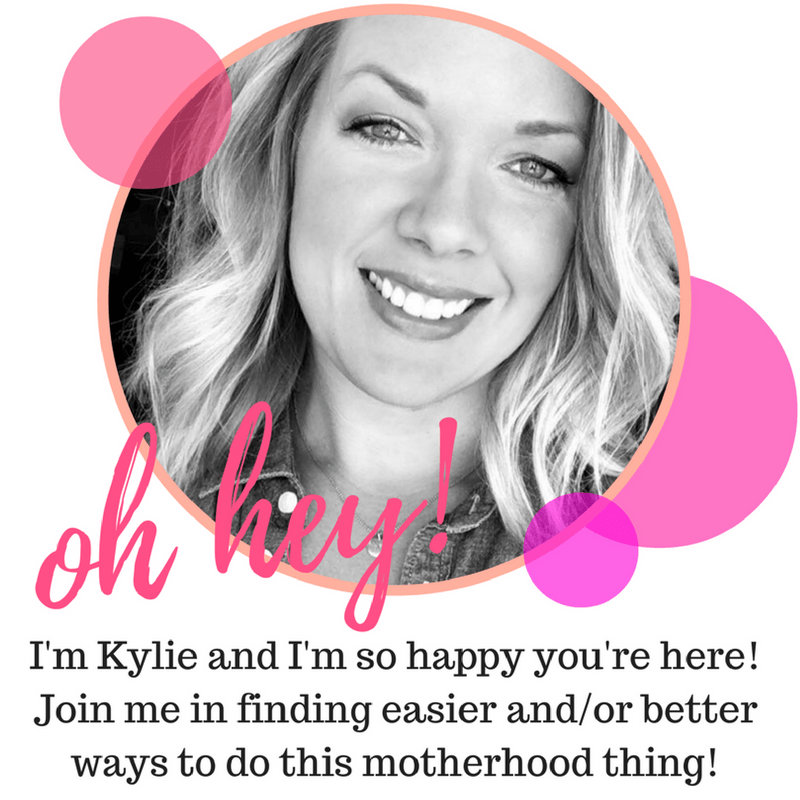 You may have all the supplies on hand to whip this one up right now! 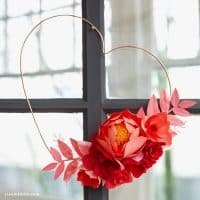 I love this modern minimalist take on a Valentines Day Wreath, using copper wire and hand-made paper flowers. Sweet little crochet accents make this wreath changeable for any season! 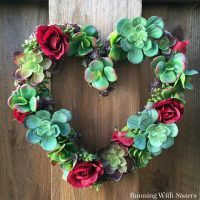 This gorgeous Valentines Day wreath combines modern succulents and romantic roses for a truly stunning effect. Of course I'm partial to tulips, and this heart shaped version is so beautiful! 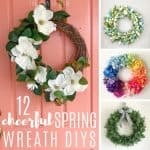 If you have a unique idea for a wreath, and need a little guidance on supplies and techniques, check out my Ultimate Wreath DIY Guide. 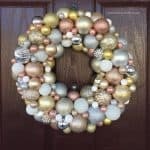 I share all the most popular wreath forms, styles and supplies needed, plus some tricks and tips. 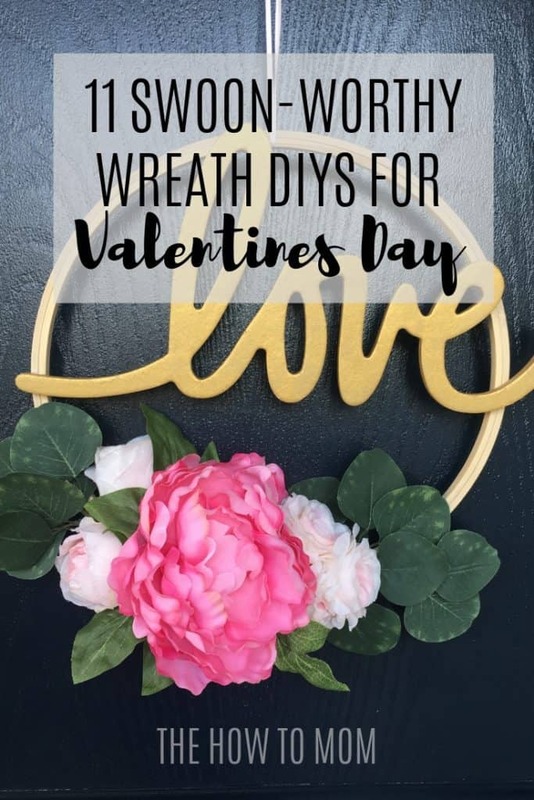 For more Valentines Day craft ideas like garlands, homemade Valentines and kids crafts, check out my Valentines Day Crafts Pinterest board HERE. « How to turn a Calendar into a Gallery Wall – Easy!